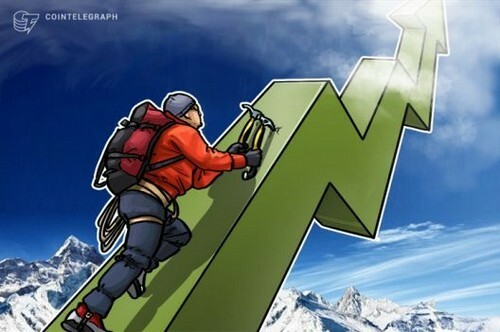 Monday, Feb. 26: the crypto markets are climbing back up today, with all of the top ten coins listed on CoinMarketCap in the green. Total market cap is up to around $450 bln, neither a high or low of this week, which had seen numbers above $500 bln and close to $430 bln. Bitcoin (BTC) has broken $10,000 again, trading at around $10,342.40 and up 9 percent over a 24-hour period by press time. Ethereum (ETH) is also far away from the $800 mark today, which it had briefly dropped below earlier this week. ETH is up almost 6 percent, trading at around $874.24 by press time. Today’s biggest winner is altcoinNEO, which is up more than 15 percent, trading at around $133.77 by press time. NEO’s gains could be attributed to Binance’s announcement earlier today that they will support the NEO Council’s forthcoming Ontology (ONT) Airdrop to NEO holders.